Earlier this week, the Presidents Cup shared the final team selections for 2017. The tournament will take place at Liberty National in Jersey City, NJ from Sept. 28 – Oct. 1. Learn more about the Captain’s picks here. While the clock is ticking down until our tournament week, there’s no need to wait until you’re onsite in Sea Island for RSM Classic apparel! We have select premium golf shirts from POLO Golf and performance hats from Imperial Headwear available now. 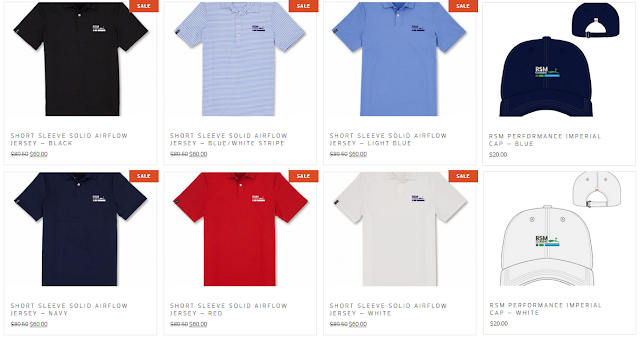 All apparel is embellished with The RSM Classic logo and competitively priced. Due to limited inventory, please allow 10-14 days delivery on all POLO Golf Shirts. To browse the merchandise, click here. And before we know it, we’ll start adding PGA TOUR Professionals to our tournament field. Players will have until 5 p.m. on Friday, November 10, to commit to play in The RSM Classic. Eligible players are assigned one of 34 PGA TOUR priority ranking categories based on their past performance on the PGA TOUR and Web.com Tour. The field will continue to change as players with higher priority rankings commit to play in the tournament. Stay up to date on our player field here as they are added. Check back next week to learn more about Team RSM and the 2017 RSM Classic (Nov. 13-19)!